Home > Blogging > Buying High PageRank Domains | What To Take Into Account? You might be thinking of changing or purchasing a new domain name for better results, but which option should you go for? Buy or build a new one? It is an important decision for the life of your website. You might have tried several tools and techniques to increase your website’s page rank but in the end, all are of no use. It might be possible that you aren’t able to put enough efforts or align your goals in the right direction. There are numerous websites that have put their hearts and souls in these efforts, but still they aren’t able to get the desired results. It might take you several days to configure the problem behind it. 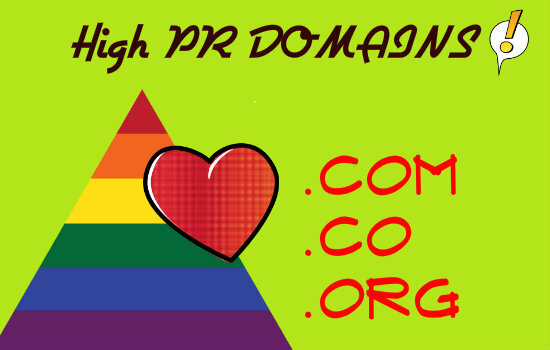 Cost – First and foremost, you aren’t going to get high PR domains at low or affordable costs. To buy these domains, you need to have enough amount of money to purchase them. Apart from the cost factor, you might also have to face some problems accompanied with these High PR domains. The owners might have used black-hat techniques to gain the high PR. Fluctuating in nature – The domains are fluctuating in nature as they keep on changing their Page Ranks. This happens when search engines’ algorithmic factors keep on changing due to a rise in the competition online. For any SEO or web hosting provider, it is nearly impossible to commit with the client that their website rank would remain the same as of the current date. As with the recent updates of Google Penguin and Panda, you might have heard that many successful and highly ranked websites were penalized for playing falsely in the competition. When you buy a high PR domain, the impact doesn’t last for long. It might also be possible that the domain which you have selected may regain its old position after you have purchased it. Gaining high PR ranks is all about using different tools and techniques for increasing your website’s rank. Purchasing a high PR domain puts your website at risk, as you don’t know about the associated problems with it. With the increasing demand for high PR domains, analytics have seen strong change in fraud and spamming online. There are numerous fake stallers available online that may put your hard earned money into a black hole. In case if you have chosen a staller or agency to perform this task, then you should make sure that the website is genuine and is properly certified. The bottom line is that there is no guarantee that buying a high PR domain will be beneficial for rankings as search engines always take into account Backlinks and quality content as good ranking factors. It is recommended to take these factors into consideration before buying high PR domains. Jack Jameson loves to write tips for choosing suitable domain names (in Danish the term is tips til at vælge egnede domæner) in various online communities and blogs. If you need reliable web hosting in Denmark, try Unoeuro.